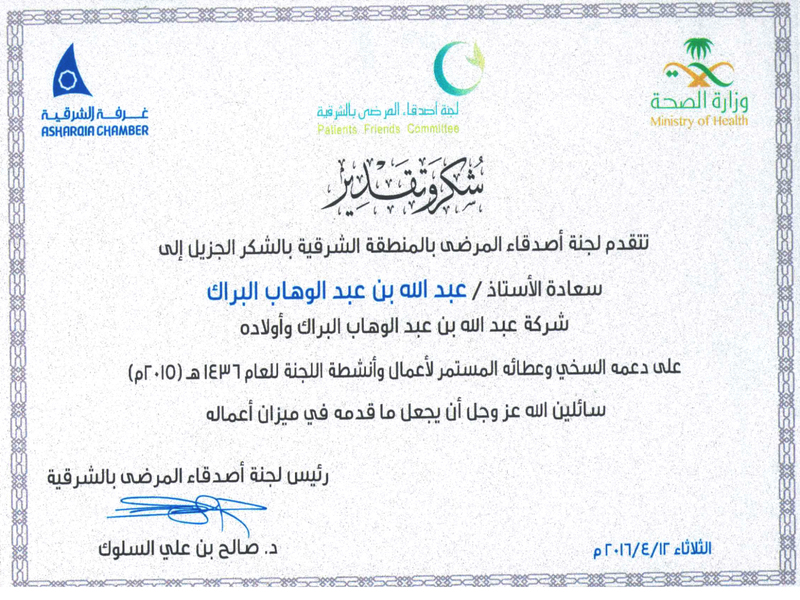 Al-Barrak | Honoring Mr. Abdullah Abdulwahab Al-Barrak the CEO of ABIS Group of companies,. Honoring Mr. Abdullah Abdulwahab Al-Barrak the CEO of ABIS Group of companies,. The royal prince / Saud Naif Al- Saud the prince of Eastern area honored Mr. AbdullahAbdulwahab Al-Barrak, including Patients Friends Committee on Tuesday 12/04/2016 for his generous support and contribution for patients and those who were in need. We ask Allah Almighty to make it in the balance of his good deeds and that God sustains the health and wellness and to help him further, God willing.